Glastonbury is the “the mega-node” for the Holy Grail! ‘EU experts on trail of Grail in effort to boost tourism’ – 5th November 2015, Central Somerset Gazette. 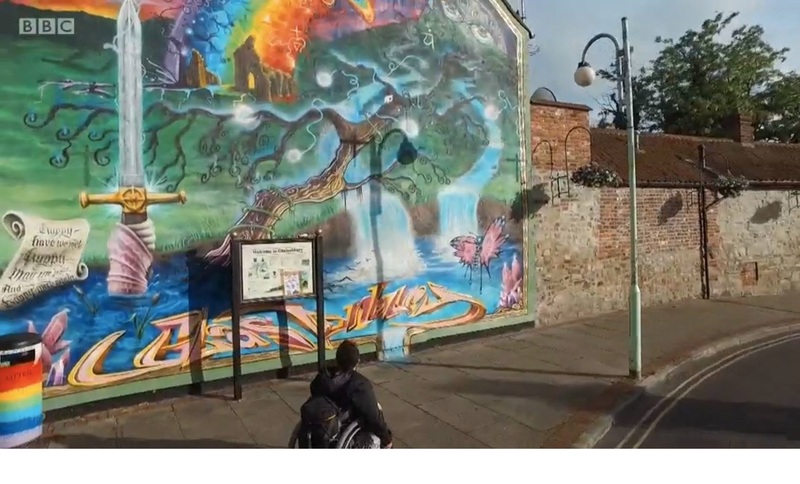 Glastonbury’s Green Councillors have taken an active role in ‘The Grail Project’, which seeks to develop and promote a new pan-European spiritual and cultural tourism route based on the legend of the Holy Grail. The route endeavours to combine and number tourism destinations linked by an association with the Grail outlined in a set of stories myths and legends. The project is sponsored by the EU Enterprise and Industry Directorate General (Directorate E – Service Industries). Find out more information about The Grail Project here. A magnificent day indeed: Geoffrey Ashe MBE FRSL is formally adopted as an Honorary Freeman of Glastonbury. 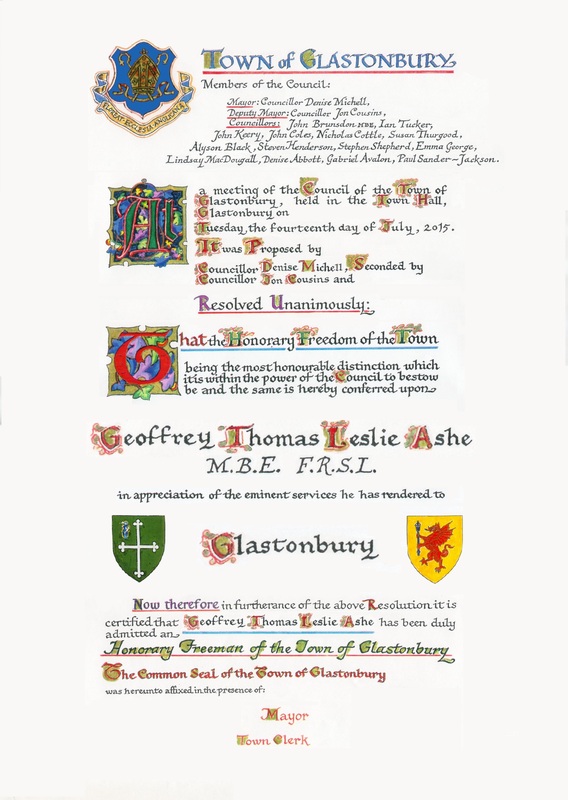 Geoffrey Ashe MBE FRSL admitted as a Freeman of Glastonbury! Council honours historical author with freeman nod 23rd July 2015 – Central Somerset Gazette. Glastonbury’s Green Councillors are extremely pleased to post that this week, Glastonbury Town Council voted unanimously to honour one of the town’s well loved, most distinguished residents – the acclaimed author and historian Geoffrey Ashe MBE – who was made a Freeman of Glastonbury. 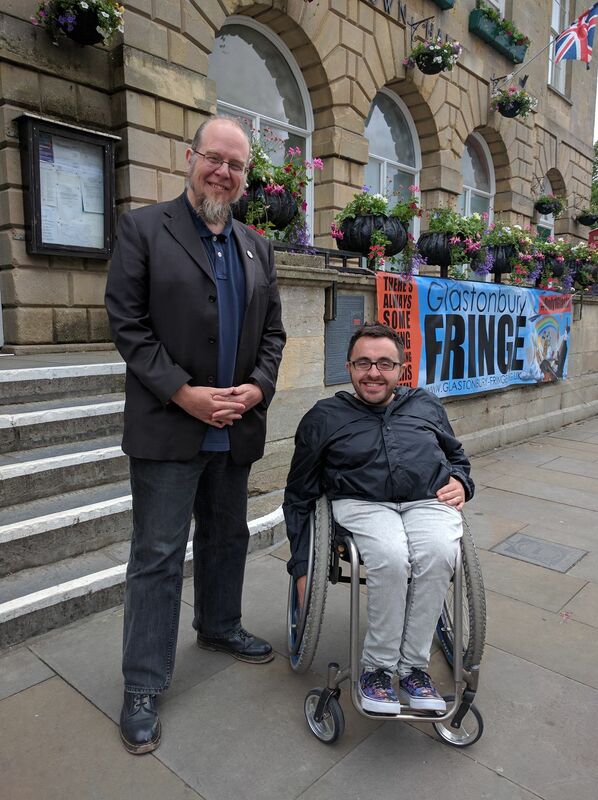 Mr Ashe was nominated by Glastonbury’s Green Mayor Denise Michell and Green Deputy Mayor Jon Cousins, in recognition of his eminent services to Glastonbury as an author and cultural historian. Born in 1923, Geoffrey Ashe is a Fellow of the Royal Society of Literature, and has dedicated much of his professional career to unravelling the history, myths, and legends associated with Glastonbury. 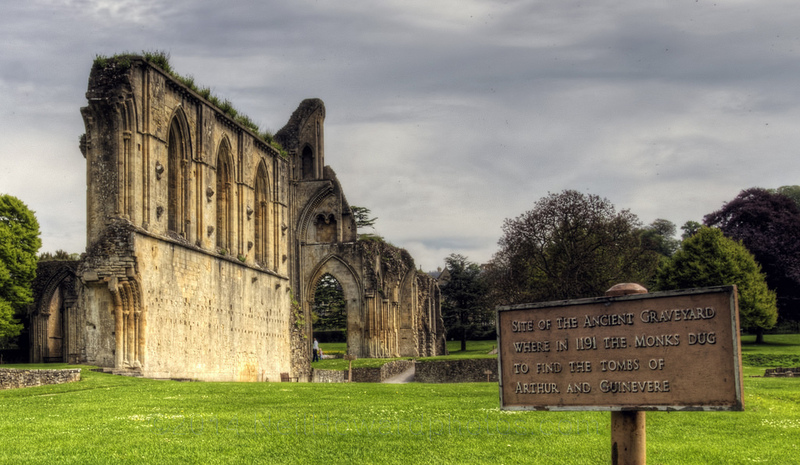 His seminal work, ‘King Arthur’s Avalon: The Story of Glastonbury’, was published in 1957, and it sparked a revival of academic and cultural interest in the town’s Arthurian and ‘Avalonian’ connections. The author, editor, and contributor to over 30 books. His focus on Glastonbury has continued throughout the years, noticeably with the publication of ‘Avalonian Quest’ in 1982, and ‘The Landscape of King Arthur’ in 1987. He has also written on a wide variety of other subjects, including: Gandhi; the Art of Writing; Miracles; Kings and Queens; Mythology; …and the Art of Bathing Through the Ages! In the past, a Freeman held all sorts of privileges, and often did not have to pay local taxes! These days, the award is mostly symbolic – however, according to tradition, as a Freeman of Glastonbury Mr Ashe has now been conferred the right to drive his sheep through the centre of the town! Green MEP Molly Scott Cato and Glastonbury’s Green Deputy Mayor Cllr Jon Cousins at ‘the power to transform the South West’ event. How to meet the region’s energy needs through renewable energy generation. 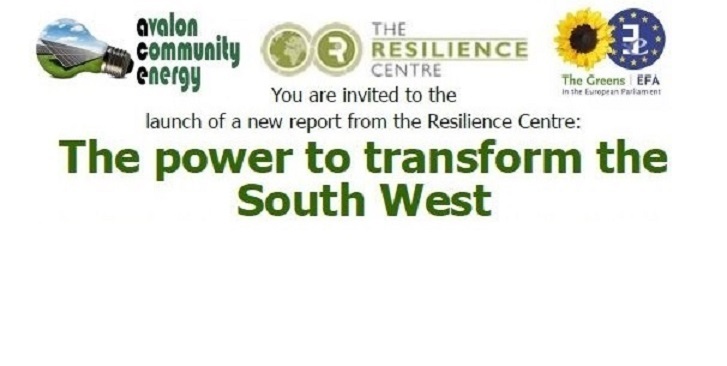 + AVALON COMMUNITY ENERGY’s PIONEER SHARE LAUNCH! * Learn about this unique opportunity to invest in community-owned renewables for Avalon! * Help transform our local energy economy! Glastonbury’s Deputy Mayor Green Cllr Jon Cousins and Green Mayor Cllr Denise Michell. 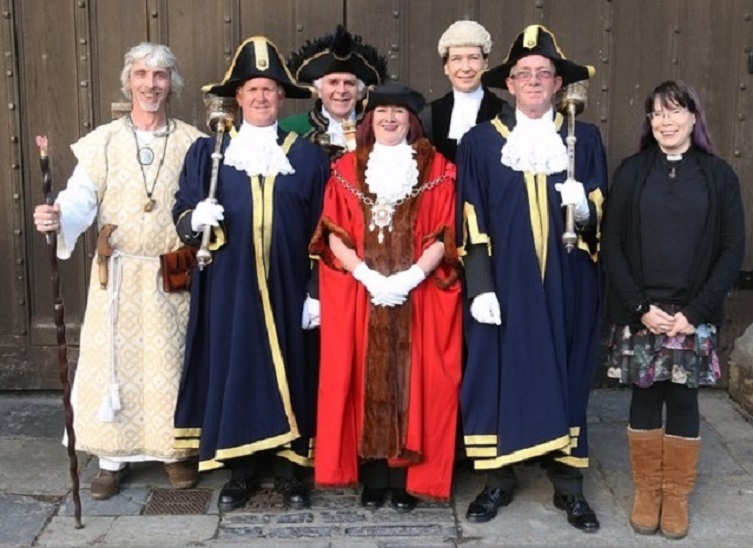 Sunday 14th June 2015 marked the ceremonial Mayor’s Sunday Parade, celebrating the election the Worshipful Denise Michell, the 316th (and first Green) Mayor of Glastonbury. Cllr Michell’s newly elected Deputy Mayor is Green Councillor Jon Cousins. Glastonbury’s MP, unformed cadets, the Archdruid and Bards of Ynys-witrin, Mace Bearers, Goddess Banner-bearers, a Marching Brass Band, sacred drummers, the Fire Brigade’s Guard of Honour, Councillors, Mayors and other dignitaries from the county… and even the festival’s Michael Eavis (foregoing his trademark shorts, and wearing long trousers especially!) took part in the procession – which was welcomed at St. John’s Church by the Vicar of Glastonbury Rev. David MacGeoch.